Delusions and dementia – sufficient evidence to contest a will? Following a recent High Court decision, we look at the evidence necessary to contest a will on the grounds that the person making the will did not have the mental capacity to do so. One of the grounds for contesting a will is to argue that the person making the will, ‘the testator’, did not have mental capacity to do so. This is often referred to as ‘not being of sound mind’, and comes down to the question of whether the testator was able to understand, and did actually understand, the contents of the will and what the implications of the will were. Challenging a will on these grounds can be tricky, and, as this case shows, will very much depend on the evidence available. In the case concerned (Lloyd v Jones & Ors  EWHC 1308 (Ch) (02 June 2016)), a woman sought to contest a will made by her mother which dealt with the mother’s farm in West Wales. The will included a £10,000 legacy for the daughter. The balance of the estate, the farm which the testator farmed in partnership with her son and his wife, and which was worth around £600,000, was left equally to the son and his wife. The will reflected a long held determination of the testator to leave the farm to her son. The testator might have been suffering from some dementia and forgetfulness but there was no evidence to suggest that her mental condition had an impact on her understanding of the will, the contents of the will and what the impact of the will was. During the course of the case, the judge heard a good deal of conflicting and apparently unsatisfactory evidence from those defending the will. There were also questions relating to the truth of the contents of an Attendance Allowance application form completed by the testator’s sister shortly after the will was executed, and the role of the testator’s niece who had drawn up the will and who also acted as the testator’s GP. However, the judge was able to take into account evidence from hospital records, from holiday makers who regularly camped at the farm, who knew the testator and who had dealings with her over a number of years, and also evidence from the witnesses to the will about the testator’s behaviour on the day the will was made. As is often the case in these situations, just because the will was drawn up was not the way other people might have drawn up a will did not make the way the estate was divided irrational. Similarly, although the daughter’s evidence suggested a general picture of the testator’s mental deterioration, other evidence was available to counter this, and there was nothing to specifically suggest that the testator did not know what she was doing in relation to the will itself. In fact, the evidence of the witnesses to the will suggested the testator clearly knew what she was signing. If you are thinking about challenging a will on the grounds that the person making the will did not have the mental capacity or understanding to do so, you will need to consider what evidence you have to support this. Your own recollection of the person’s condition and his or her behaviour will be important, but so will medical evidence, and the evidence of those present when the will was drawn up and signed. In this case, the evidence of regular holiday makers who came into contact with the testator year on year seems to have been significant for the judge in deciding that the testator’s mental capacity had not deteriorated to the extent the daughter claimed. 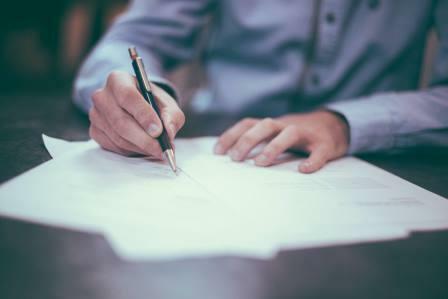 Mounting a challenge to a will on the basis that the testator lacked mental capacity can be tricky – as this case demonstrates – but is certainly not impossible, particularly if the will has not been drawn up by a legal professional. If you are concerned about the circumstances in which a will has been drawn up based on the state of mind of the testator, and would like to discuss whether you have grounds to challenge a will why not get in touch with us? Book a call back using the online form or call 020 3322 5103.